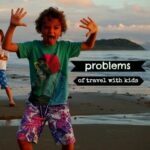 Travel organisers are lifesavers. I don’t carry much gear for a professional full-time traveler, but I saw the Bubm organisers on Amazon and had to have one I’ve carried it every day since. When looking for the best travel organisers I picked the Bubm below from a competitive market. I was sick of passport, documents, leads, cables, plugs, adaptors, phones, power packs, memory sticks and electronics debris hanging around in my bag along with tiny crumbs of chocolate, crisp fragments and sticky sweet wrappers (let’s mention too, the wet wipes, mosquito repellent, sand and hand gel) constantly threatening destruction. 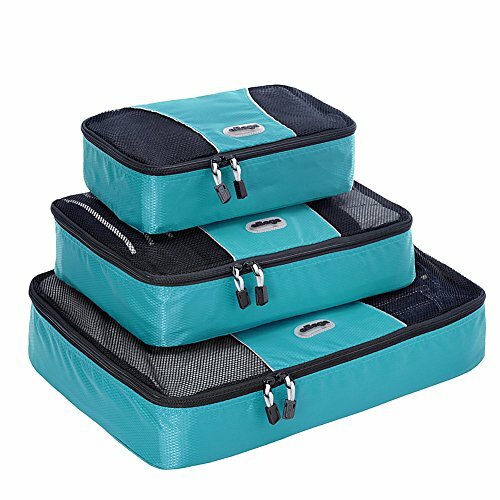 I compared various styles of travel organisers and chose the one below because the color, design and price ( £15.99 under $20) were good . I’ve now been using it for over a year and would give it a very good review. I had it in my hands within a few hours of ordering thanks to traveler’s joy, Amazon Prime (Try Amazon Prime 30-Day Free Trial US only). 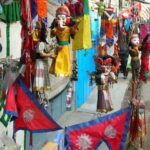 These organisers make travelling life easier, quicker and slicker, check out this, and other organisers we’ve researched, below. Most are available in the USA, UK, Australia and Europe. Also take a look at the Ebags travel toiletry organiser (below), I own it, it’s genius. 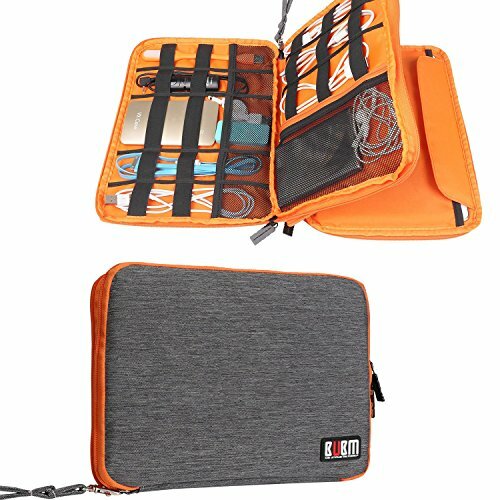 We cover different styles of travel organiser below, for passport, packing, money, documents, electronics and miscellaneous items. Stage 1 of Organisation, Packing Cubes! I’ll Mention in Passing That You NEED Power Packs! 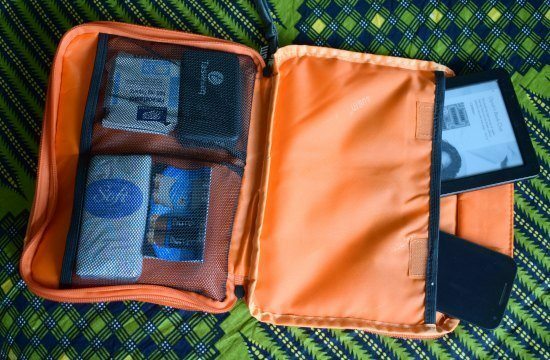 My travel organiser, and the one I’m particularly recommending today, but you can find one for any purpose, from cables, to passports to laundry, keep scrolling! I travel with my family so I carry more than most and up to this point in our travels we’ve stored all of our leads and chargers ( cable spaghetti!) 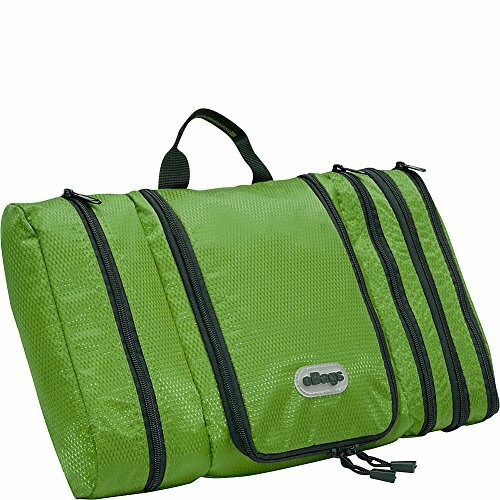 in a communal family travel organiser, a smallest size e-bags packing cube, as below. Clicking on the images will take you through to find more details on Amazon. 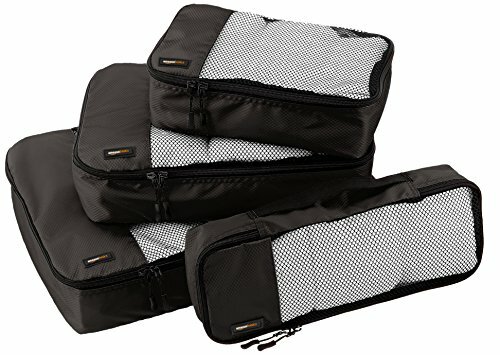 Here is a selection of travel organizers I found on Amazon, there really is little to chose between them and the choice comes down to personal preference. You could, indeed, buy one simply for your passport and travel documents, but my choice is to organize my electronics. Check prices and colours here on these eBags packing cubes. A classic choice. We have used eBags Packing Cubes for years to help organize our cases or backpacks. They’re tough, long lasting and for me, indispensable. A 3 piece set like this one above is around £20 or $30. If you click through from the image or the links you’ll see that they come in various combinations of shapes and sizes and every colour of the rainbow. We own these and recommend them. 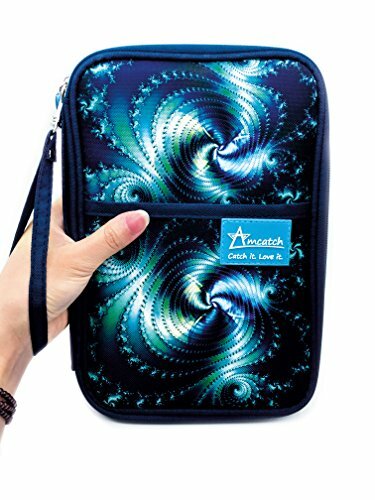 You can buy all manner of travel organiser bags, for laundry, toiletries, you name it. As I said, we own the e bags packing cubes, above, but all of these are worth looking at, these two below are the top best sellers on Amazon. I really liked the third set because it has those sealed laundry bags, so I bought this too. There’s nothing worse than having to put smelly stuff in with your clean clothes. If you click through there are much nicer colours, we have blue. Amazon basics packing cubes are a slightly cheaper alternative to eBags, Check colours, shapes and prices here. Another set that we own and use. I bought these because the zippered pouches, in multiple sizes, are a really useful thing to have. So far they’ve been put to use for toothbrushes, toys and to sort clothes. That shoe bag is great to have too, after years of using carrier bags. You’d be surprised that our carrier bag stash does often run out, they just don’t hand them out everywhere, which is a good thing. The quality isn’t nearly as good as the ebags, but they do the job. We now have a full post on the best rechargeable power packs, we recommend solar powered. As a mummy, I think these could equally be called family organisers. I’m forever carrying precious things ( 3 Kindles) around for the kids, one of these is just perfect to stash the stuff and keep it all breakage, sand and chocolate proof. I’m also going to be keeping tissues in there so they don’t get crummy in my bag, I know you’re hearing me moms! I love that you can take this organiser from a day pack or lap top bag and just stick the whole thing in a handbag ( purse). You can also pull the organiser out on long flights and hang all your gadgetry and essentials on the seat-back hook so that I have a nail file for when you inevitably break a nail and my pen for the customs declaration along with Kindle, phone and power packs. 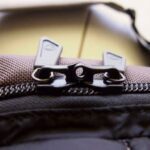 It has a handy detachable carrying strap/loop hanger. 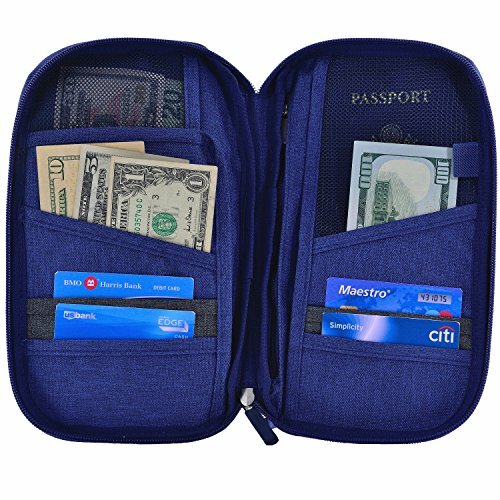 The iSuperb passport and wallet travel organiser below is waterproof polyester and zips closed. It will hold 2 passports along with boarding cards, tickets, credit cards, ID cards, cash etc. 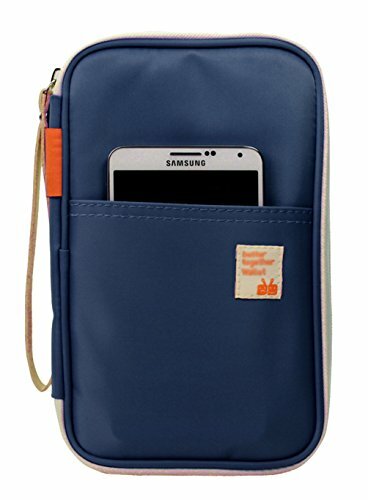 You can even keep your phone safe in the outside pocket. It comes in a range of great coulours, including pink, and has that useful hand strap. Several of these exist, but models differ between the US and UK. 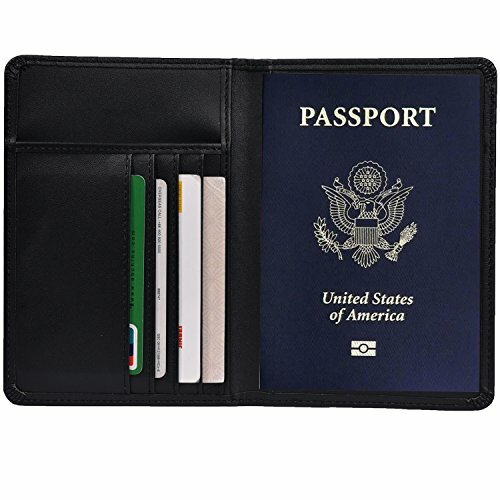 The link will take you to a similar family sized passport holder available in your country. When this arrived it was even better than I imagined. 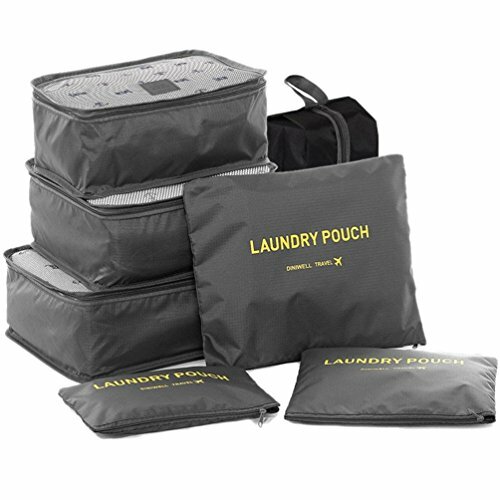 I’ve used old style travel wash bags, this one is lighter, slicker and smarter. Flat is totally the way to go and when you hang this one it gives super easy access and division of wet and dry. I use mine for make up, tooth brushes, solid shampoo, hair grips, everything a lady of travel could need. It’s an absolute must-have. 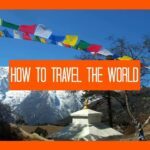 We are ultra-minimalist and own few items total so the things we carry as we travel have to work well or they quickly find themselves in charity shops. Our organizers makes the grade. Enjoy the rest of your week, I have 3 days of diving left before we leave our newly beloved cats at this house sit and move back to our usual London base, Twickenham/Richmond. We’ve actually, for only the second time in 3 years, found a place though AirBnb for a month (if you sign up to host or stay via our link you get a special discount), a real bargain and exactly where we wanted to be. So we’ll be squeezing more fun and education out of London before Chef’s Iron Man competition next month. 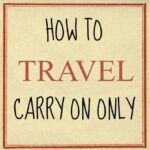 For our full post on travel gear, the things we carry and have carried for 3 years, look here. I loved your travel organizers. 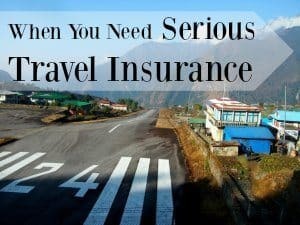 I do not have any future plans for travel. but when I do I definitely will visit your site. 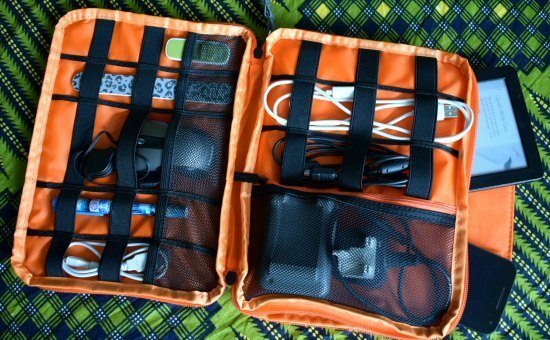 Your organizers is also great for organizing all your electronics accessories at home. I look forward to visiting your blog and your website again. Yep, both the kids were born in Twickenham and we’ve owned flats and houses in that area since coming back from our first RTW 17 years ago. We go back at least once a year now to see friends. Have a great trip! After reading your article, my family and I bought the organizer for electronics and used it for our recent trip to Europe. It came in really handy! Thanks! Its crazy how people underestimate their usefulness. As handy as packing cubes in my opinion! 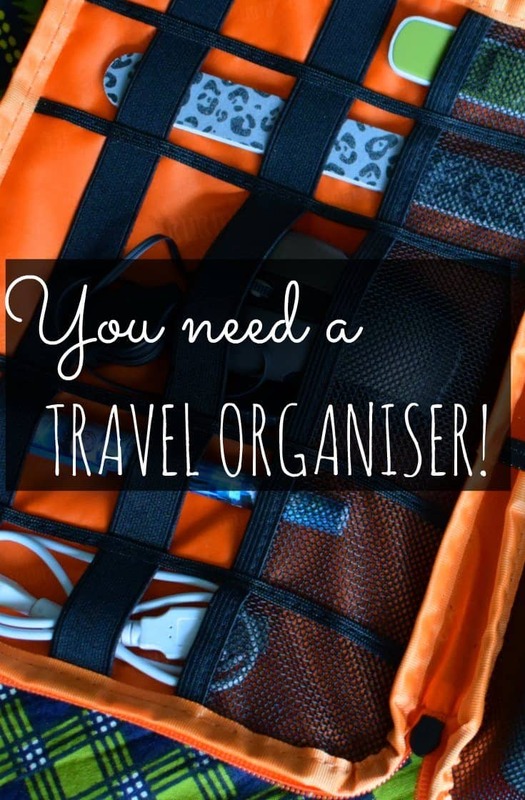 I have to provide a Christmas list for my family – just gave them the link to this post and reminded them to buy via the link 🙂 After disastrous over packing and taking too many cables we did not need I dropped a big hint that I need this organiser. Thanks Coral. I LOVE this organiser, it goes everywhere with me. James laughs, but he’s never got a nail file, wet wipes or paracetamol when he needs it and all his leads and cables are jumbled up in a small packing cube. I like mine neat! Yep, surfing is on the list for them to try, my husband and I were talking about it just yesterday, we were thinking somewhere in South America maybe. I’m not totally sure they’d like it though, they’re anxious about sharks. It’s a good job the media has done on them there, Chef and I both love sharks and have dived with them many times. D is old enough for scuba diving now too, but isn’t interested. Looks nice ! Can you check whether you got some commission on the books and sockets I bought (amazing chinese invisible sockets – compare to no european invisible sockets I ever tried – and I tried at least 50 different brands!) . When I check through your site, I arrive on Amazon UK, which charges high rates to ship to France, so from amazon.uk I click through to amazon.fr … but nothing tells me you got a commission ?! Yes, I have 4 pairs of socks under France. You made me 1 Euro. Thanks! Oh man, I hate this plugin. It should go to France, it’s set up to go to France. If it goes to UK I bet it doesn’t work. I’ll have a look now. I am making money from France so it’s working somewhere! Do you know off the top of your head which link on the site you used? I haven’t updated all of them yet, there are hundreds. Well, I made you 1€ … that’s a very very humble contribution. I have some more stuff to buy (I bought a book on Jean Vanier by clicking through your site, but I bought it on Amazon.fr – If you have that one too, it is working – it’s a bit labour-some, but I don’t mind the extra clicks!). The backpack is a UK link only ( it says that in the text) because that pack is only available in the UK. The Amazon gift card one is the ONLY one on that page that I didn’t localise. ( I’ll fix that now, I forgot) All the organiser ones should work and the power packs. Sorry for the hassle, Alyson, I didn’t want to give you a headache … I don’t know what you did but when I click on the “This organiser was under $20 ” link now, I get an error message say you are redirecting too many connexions ?! The Amazon gift car link still directs me to Amazon.com (so does the powerpack link), which is OK for me, from there on I just surf to Amazon.fr. Don’t worry about it ! I just ordered the sri lanka bird guide (and some more of these incredible socks) – as long as you get your cents, I’m happy with it. No, I’m glad you’re telling me all this, the thing should WORK! It obviously doesn’t. That one works now Talitha, there was an error in the code. I confirm : it works ! Good on you ! Nice! My husband was looking for something like this a few weeks ago. I just forwarded him the link. Thanks for the recommendation.